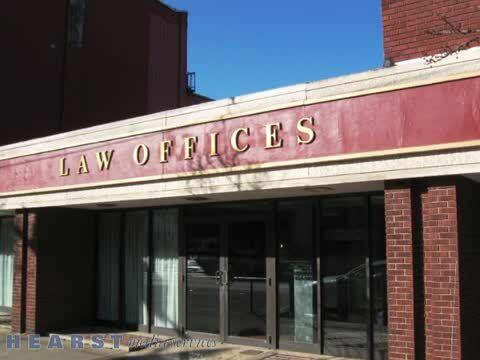 Law Offices of Robert L. Saunders, P.C. Call for a free consultation with a personal injury lawyer! That’s what you deserve in your attorney. This is what we’ve offered since 1975. When you call today, you'll receive a free consultation from a personal injury lawyer. Whether you've been hurt in the work place and need a reliable workers comp lawyer or you are a victim of medical malpractice, the attorneys at the Law Offices of Robert L. Saunders, P.C. are here for you. Member: Hearing Committee Disciplinary Board of the Supreme Court of Pennsylvania, 1979-1985. Attorney Saunders' areas of practice include: Personal Injury, Workers Compensation, and Medical Malpractice. AV Peer Review rated by Martindale-Hubbell which represents the pinnacle of professional excellence earned through a strenuous peer review rating that is managed and monitored by the world's most trusted legal resources. Call now to speak to a personal injury lawyer! If you've been hurt, get legal help. Whether from a workers comp lawyer or a personal injury lawyer, injury lawyers can help you get what you deserve. Thank you for visiting our website. We look forward to helping you with all of your legal needs. For all types of personal injury cases, from workers compensation to automobile accidents, we are the injury lawyers you can count on. When you're looking for injury lawyers, remember to call the Law Offices of Robert L. Saunders, P.C.. We will provide you with solid legal representation to help get you the compensation you deserve. Attorney, accident and personal injury, workers' compensation, medical malpractice, wrongful death cases. Personal Injury, Slip and Fall, Premises Liability, Accident Attorney, Work Injuries, Workers Comp, Medical Malpractice, Elder Law, Oil and Gas Law, Dog Bites.